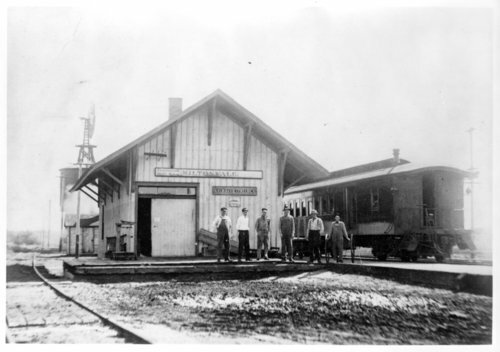 This photograph shows a group of men standing in front of the Leavenworth, Kansas & Western Railroad Company in Miltonvale, Kansas. In the background a passenger car, windmill and water tower are visible. Collections - Photograph - Kelley, Frank O.